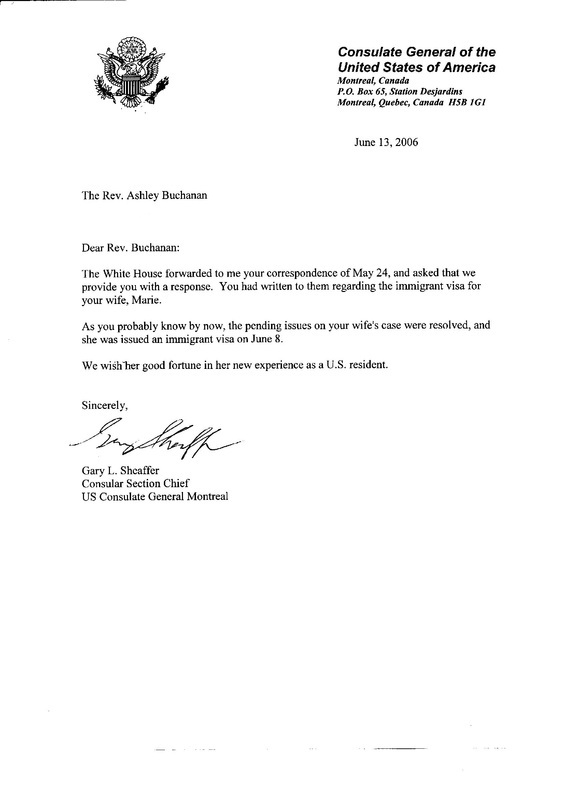 If there was something just a little weird about me, then Darren K. Hipp on Behalf of President George W. Bush at that time would never have asked Gary L. Sheaffer Consulate Section Chief of the Consulate General of the United States of America to expedite my Immigration process NO WAY (it does not take rocket science to understand that) after Ashley contacted the White House and Congressman John M. McHugh was happy about it. Nobody can find anything weird or bad about me to the exception of SE lying and making up stories. 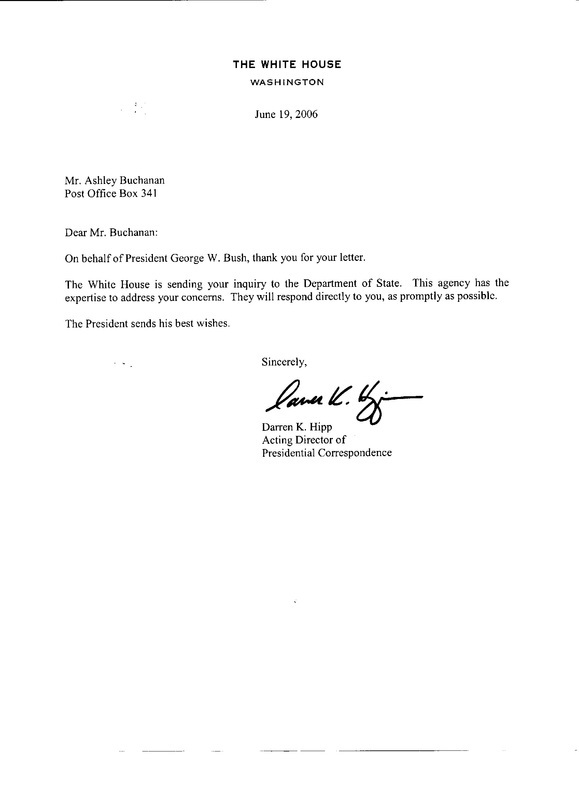 Letter of Darren K. Hipp on behalf asking President George W. Bush at that time to Gary L. Sheaffer to help the Immigration process with positive reply from Mr. Sheaffer.